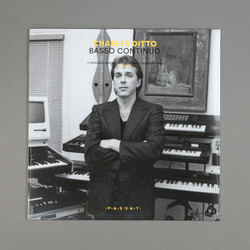 Charles Ditto - Basso Continuo: Cyberdelic ambient and nootropic soundscapes (1987-1994). Vinyl LP. Bleep. Here are some spaced-out vibes emitted from deepest Texas, rediscovered and reissued by Passat Continuo. Composer Charles Ditto periodically sustained himself by playing in touring bands, selling keyboards, and finally by going full time as a music teacher in 2003. All the while, however, Ditto was crafting percussive instrumentals and MIDI soundscapes, inflected by traditional folk music from all over the globe. Lovers of Brian Eno and Ryuichi Sakamoto’s early soundtrack work will find a new favourite in Charles Ditto.